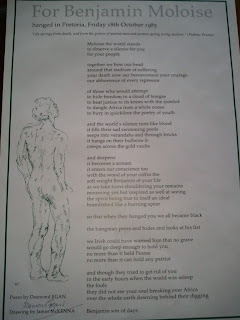 Desmond Egan, Irish poet, has a wide range of poetry and prose publications as well as translations and books of prose. His PEACE poem, was translated into hundreds of languages as part of a millennium celebration. To date, Desmond Egan has published 23 Collections of Poetry; two of Prose and two Translations of Greek Plays. Athlone born, he is a full-time writer living and working near Newbridge in County Kildare. Today Mr Egan came to the school and gave a poetry talk to our sixth year group. He is also a past teacher here in the school. We thank him for imparting his enthusiasm and love of poetry. 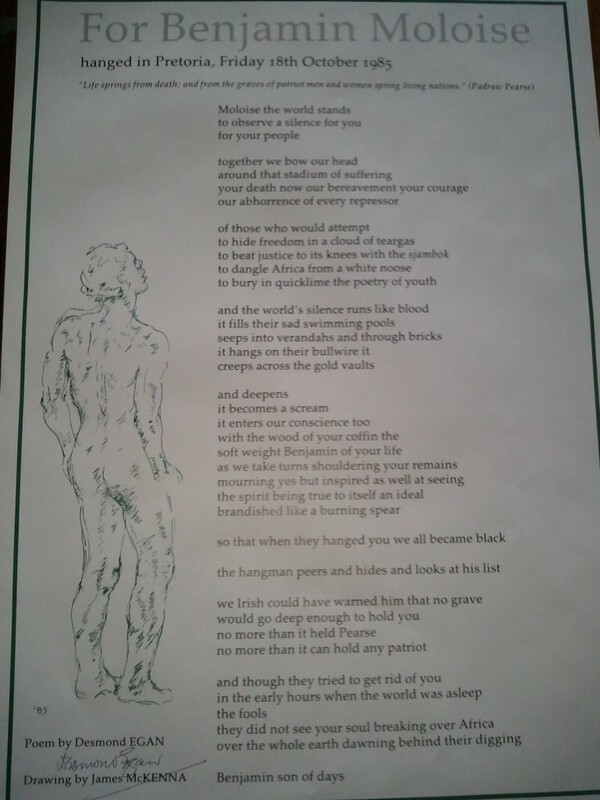 Pictured above is a signed poem that Mr Egan presented to the department entitled for Benjamin Moloise.